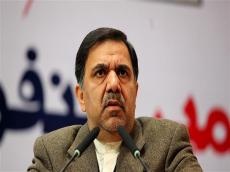 Iranian Minister of Roads and Urban Development Abbas Akhoundi said the Islamic Republic needs to increase its cooperation with China, Russia, the EU, India, Turkey and its regional neighbors in order to be able to counter the looming US sanctions. In order to pass through tough times ahead the returning US sanctions, we need to promote our cooperation with global power like China, Russia, and the EU, Akhoundi said on August 5, IRNA news agency reported. He added that ties with India, Turkey and neighboring nations should be also bolstered during the sanctions era. “We need to create a future full of hope for our people,” he stressed. Trump withdrew from the Iran nuclear deal in May, and Washington now plans to reimpose sanctions on Tehran.